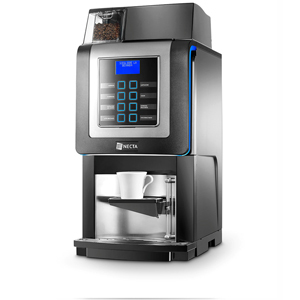 Just ten seconds for a fresh, delicious cup of coffee… if that sounds too good to be true then you need Coffee Queen’s Cafelino Trio coffee machine in your café, restaurant, office or other business environment. 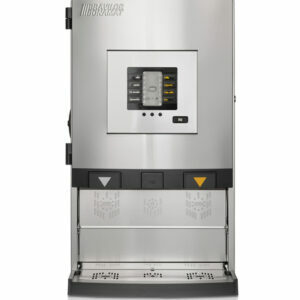 This is known as the instant ingredient machine for a reason: it offers incredible speeds that help you serve your customers and keep them satisfied. 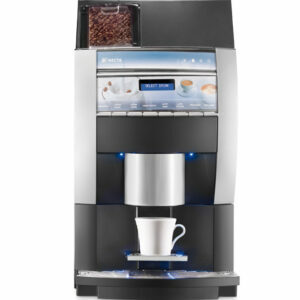 This is a particularly good choice for work environments that want to bring a table top coffee machine into the office – the quick speeds eliminate queues and ensure that all of your employees can get their caffeine boost throughout the day. That said, it’s also a great option for hospitality and service businesses that need to get their orders out quickly and efficiently without ever compromising on flavour. 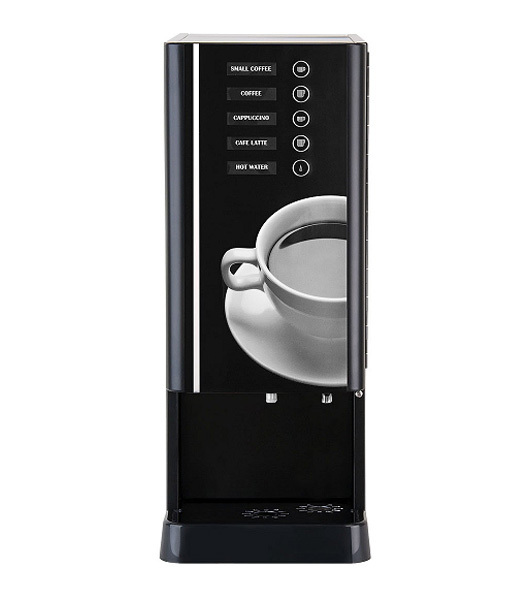 With the option for up to four different hot drinks – as well as hot water – and three different ingredients canisters (an upgrade from the Cafelino Duo machine which features two canisters), this is a coffee vending machine that keeps things simple. 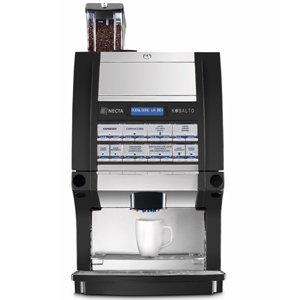 However, that definitely isn’t a drawback – it just makes this one of the most straightforward table top coffee machines on the market. That’s great if you want something that will give you no hassle while churning out drinks faster than you would have thought possible. 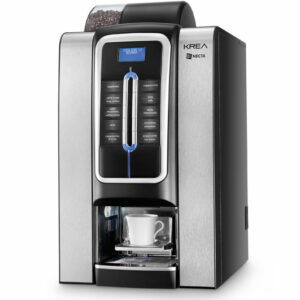 In fact, this is a machine that packs a serious punch: with just a single push of a button needed to create your hot drink it delivers just what you need exactly when you need it. 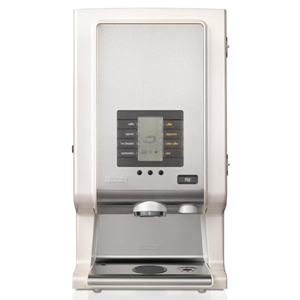 So far, we’ve been talking about how easy it is to use the Cafelino Trio table top coffee machine, but anyone who’s thinking about having one installed at their business will be pleased to hear that they’re just as simple to clean and maintain. Restocking your machine with fresh ingredients will take just a few minutes out of your day, and an easy-to-clean design helps you keep on top of the hygiene. When the Forward Vendors team install your Cafelino Trio coffee vending machine we’ll be more than happy to talk your team through its simple operation just to ensure that you never experience any hitches. We’d love to talk you through the many different coffee and vending machine options, and help you make an informed decision about what’s right for your company. Get in touch today by calling 0800 444 443 and let us know what you need.